Are Licensed Naturopathic Physicians Real Doctors? Okay, so you may have heard of a Naturopathic Doctor, but what is it they really do? Did they even go to Medical School? Read below to find out how Licensed Naturopathic Doctors are trained. Currently, there are 7 accredited (consisting of 8 campuses) with four-year, in-residence, hands-on Naturopathic Medical Schools throughout the US and Canada comprised of a minimum of 4,100 hours of class and clinical training. Admission to these schools is dependent upon fulfilling the pre-requisites listed below. What does training to become a Naturopathic Medical Doctor look like? During the first two years of Naturopathic Medical School, areas of study are akin to traditional medical school in that students learn biochemistry, human physiology, histology, anatomy, microbiology, immunology, human pathology, neuroscience, pharmacology and more. In addition to the standard medical school curriculum, Naturopathic Medical students are also trained for 4 years in areas of clinical nutrition, acupuncture, homeopathy, botanical medicine, lifestyle counseling, nutritional IV therapy and physical medicine. The final two years of Naturopathic Medical School, naturopathic medical students have rotations under the supervision of licensed professionals. They also study disease prevention and clinical techniques. You can see in the image below that in some cases, Naturopathic Schooling requires more course load time than MD schooling during the first 2 years. 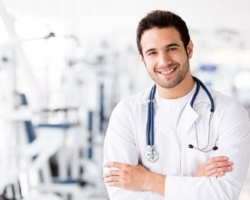 So what are the differences between an MD, DO and Naturopathic Doctor Training Program? Even though the general educational structure for Naturopathic Doctors is comparable to that of conventional medical doctors (MD's) and osteopathic doctors (DO's) one major difference is residencies. Currently, MD residency is required and regulated by conventional medical schools and is funded by the government. Naturopathic medical residency programs are not as common, although some are available, but they are not yet required by most states (besides Utah) or funded by the government. In lieu of a residency, many Naturopathic Doctors choose to practice or preceptor with a seasoned doctor before setting up their own practice. Another difference lies in the fact that not every state is licensed for Naturopathic Doctors. Currently 20 states, the District of Columbia, Puerto Rico, and the U.S. Virgin Islands offer licensure or certification for naturopathic doctors. The American Association of Naturopathic Physicians maintains a list of states and territories that license or certify naturopathic doctors. Just like MD's having to complete the USMLE exam for medical licensure, the exam required to qualify for naturopathic doctor licensure is administered by the North American Board of Naturopathic Examiners (NABNE). The Naturopathic Physicians Licensing Examinations (NPLEX) is a taken in two parts. Typically part 1 is taken after the 2nd year of school and Part 2 is taken upon graduation. Only students and graduates from accredited or candidate naturopathic programs are eligible to sit for the NPLEX. 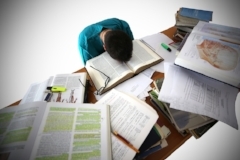 In order to become a licensed Naturopathic Medical Doctor, one must pass the NPLEX part 1 & 2. Yes, Naturopathic Doctors Are Real Doctors! So there you have it, Licensed Naturopathic Doctors are real doctors, can even be considered Primary Care Physicians and have a rigorous training program similar to MD's or DO's. The main differences lies in the treatment modalities used, residency requirements and depending upon what state they're in, what they can prescribe. Skin, A Naturopathic Clinic is located in Encinitas, CA. The Naturopathic Doctors look forward to working with you to look and feel your best! This article is not intended to provide a health diagnosis, treat a medical condition, or provide medical advice. All content provided on this blog is for informational purposes. Please consult your doctor or a qualified health professional on any matters regarding your health and well-being or on any opinions expressed within this blog. Have you googled Homeopathy or Naturopathy and were more confused with what you read? This post will help you better understand the differnce! Help! I Feel Like I'm Getting Sick! Ok, cold and flu season is upon us. And it seems like every time you turn on the news or talk to a neighbor, another person has the flu or is getting sick. But, does that mean you have to get it? Not if you're armed and ready! Below are a few of the docs favorite suggestions to boost your immune system..naturally. Drink Lots of water. Ok you've heard this tons of times. But there's a reason why! Clean, filtered water helps to flush out toxins and detox the body. And when you really stop to think about it, how much water are you actually drinking? The goal is at least 1/2 of your body weight in ounces of water. So for example: if you weigh 150 pounds, you want to make sure you're drinking at least 75 ounces of water/ day. BioVegetarian. Bio Vegetarian is an excellent immune system booster. Chock full of herbs, vitamins and even cayenne pepper! Designed specifically to neutralize immunogens and remove cellular debris. You can pick some up here: https://rxsupplementstore.com/products/cold-and-flu. Contact the docs at Skin for the correct dosing. Glutathione. As long as we're talking about antioxidants here, let's talk about the master anti-oxidant: Glutathione. Pronounced (gloota-thigh-own). There's a lot of great benefits to this tripeptide amino acid but, boosting the immune system is one of its main benefits. You want to make sure you get this amino acid via IV therapy, liposomal delivery or through an inhaled nebulizer. (A nebulizer is a cool Darth Vader looking mask that delivers the nutrients right to your tissues). Glutathione break down easily and when taken in pill form, isn't nearly as effective as the other routes of administration mentioned above. Nutritional IV Therapy. Now what does that mean exactly? Nutrient IV's allow for vitamins, minerals and amino acids to be absorbed directly through the bloodstream. The high doses of nutrients available via IV are simply not possible to obtain when taking orally. Nutritional IV's pack that extra punch your cells are looking for to keep you healthy! 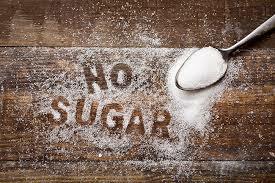 Limit Sugar. Now what we're talking about here is refined sugar. Yup, those processed ivory granules. Sugar can promote inflammation and put a lot of stress on the immune system, therefore limiting it's bacteria and viral fighting powers. We know it tastes good, but your cells are going to thank you in the long run when you're fully armed and ready for battle. Happy staying healthy! If you would like more information on any of the treatments listed above please contact: Skin, A Naturopathic Clinic. I Need Help With My Allergies! It's that time of year again! The flowers are blooming, the birds are chirping and well...you're sneezing your head off. That's right. Seasonal Allergies. Or maybe you've been suffering from year-round allergies? Either way...not being able to breathe has put a damper on enjoying those beautiful blooms. What if I told you there's a solution? A solution that's based on allergies that are unique to you. Yup. All it takes is a simple blood test, a prescription formulated with your allergies and you can be on your way to sniffing those Sequoias in no time. This therapy is called Sublingual Immunotherapy (SLIT) in which you take drops sublingually, (fancy word for under your tongue) to help desensitize you to your surrounding allergens. So, instead of multiple painful allergy shots, you can administer daily sprays under your tongue. Immunotherapy is widely used by doctors because it treats the underlying cause of allergic reactions instead of temporarily alleviating symptoms like an over the counter pill may do. Immunotherapy is designed to gradually desensitize the immune system to specific allergens that show up on your blood test. You will receive small doses of specific allergens (based on your lab work) not enough to actually cause a full-blown allergic reaction, but enough to desensitize your body and build up a tolerance. Immunotherapy can potentially lead to remission of allergy symptoms, even after discontinuing treatment. Some patient's feel relief as early as one week into treatment, whereas others may take some more time to build up the treatment. Treatment is typically administered for 1-2 years based on allergies. Why Can't I Just Take an Anti-Histamine For My Allergies? Allergy medications such as anti-histamines and corticosteroids are designed to provide momentary relief while suppressing allergy symptoms. As soon as you stop taking the pill, it stops working. Unfortunately, you as an allergy and/ or asthma sufferer will require these medications for the rest of your life to enjoy relief from symptoms. 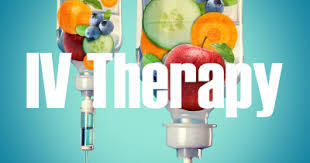 SLIT therapy targets your own immune system to help build up a tolerance and relieve your from symptoms. Sublingual immunotherapy (SLIT) provides a practical alternative to traditional allergy treatment options like antihistamines and corticosteroids. SLIT is super easy to administer and yields long-lasting results. It can also reduce the amount of medications the patient must take over time. What are you waiting for?? PRP (Platelet Rich Plasma) can help reduce fine lines, wrinkles, restore collagen, and improve acne scarring. The Most Important Male Mineral You May Have Forgotten About! That's right! We're talking about Zinc! The forgotten trace mineral that is responsible for over 200 enzymatic reactions in the body. Some of our favorite things zinc does? Zinc is responsible for sperm production and testosterone metabolism. That's right men. Experiencing infertility? Zinc increases sperm count and motility. Zinc is also awesome for for the skin! Zinc helps to speed up wound healing and decreases acne. Not to mention zinc also helps to boost the immune system from it's anti-viral and anti-oxidant activity. Zinc is a super star! How the heck do you know if you're deficient in zinc? Let's look at those fingernails. See any white spots? Hangnails? Poor wound healing around the fingernail beds? You may be deficient in zinc. How smart is our body?? Remember, you may experience nausea/ vomiting if you take zinc on an empty stomach. If taking more than 50mg/ day you may need to supplement with copper as high dose zinc can cause a copper deficiency. Check out the Holistic Health Hackers section for our video on Zinc! Skin, A Naturopathic Clinic is located in Encinitas, CA. The Naturopathic Doctors look forward to working with you to optimize your health! 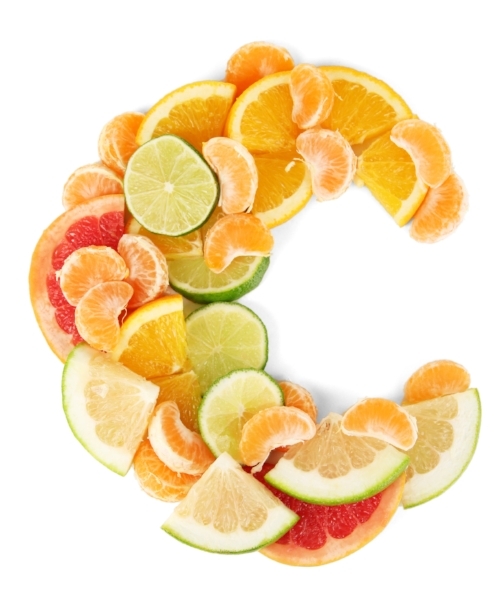 Ok, so cold and flu season is upon us and you may be reaching for the Vitamin C, but did you know the dosing of Vitamin C matters? Also, did you know humans are not able to synthesize their own Vitamin C?? (along with goats and monkeys) So it's really important to have sources of Vitamin C in your diet! How will you know if you're deficient in Vitamin C? Some symptoms may include weakness, bleeding gums, joint and muscle aches or leg rashes. You can also test your blood via a micronutrient panel. Let's review what Vitamin C is good for. Vitamin C helps to repair and regenerate tissue, aids in the absorption of iron, increases collagen, quenches free radicals- due to it's anti-oxidative nature and of course is a good anti-viral. When using this super vitamin to boost the immune system, we like to suggest as least 3-5grams (that's 3,000-5,000mg) of Vitamin C/ day. If you do happen to experience loose stool, just back down the dose a bit. You'll also want to make sure to check with your doctor on this dosing if you're on any type of blood thinners such a Coumadin or Warfarin. Click here to check out the Holistic Health Hackers video on Vitamin C! Are you deficient in any nutrients? Now you can find out! Nutritional balance is so important in staying healthy. Wouldn't you like to know exactly what your nutritional profile looks like? Do you find yourself lacking energy, feeling stressed or maybe a little depressed? Do you have digestive difficulties and wonder if your food is getting absorbed? Are you an athlete and want to maximize your performance? SpectraCell's Micronutrient testing offers the most accurate, scientifically proven method of assessing nutritional deficiencies, through a simple blood test! Traditionally, an individual waited to go to the doctor at the first signs of a symptom. Today, people are looking for ways to not only manage illness with personalized treatment plans, but they are also seeking to achieve a higher level of wellness. Eating a balanced diet, exercising and taking a multivitamin may simply not be enough. Each person's body is unique in its own way and has its own nutritional requirements. Due to the complexity of the human body, an individualized healthcare approach is the only way to guarantee optimal results. And what better way than a simple blood test that looks at your unique nutrient deficiencies? SpectraCell's Micronutrient tests measures the function of 35 nutritional components including vitamins, antioxidants, minerals and amino acids within our white blood cells. Scientific evidence shows us that analyzing the white blood cells gives us the most accurate analysis of a body's deficiencies. Two tubes of your blood will be drawn and sent to the lab. The test is performed on your lymphocytes, one type of white blood cell in your blood. Some researchers believe cellular analysis is superior to measuring levels of nutrient in the serum or plasma because testing these 2 routes doesn’t determine if the nutrient is accomplishing anything. So even if you eat the night before, your micronutrient status will not be affected. So whether you're an athlete, a student or a stay at home mom, we all have nutritional requirements specific to us. Finding out how to best optimize your health through a micronutrient test is the first step in living the life you were meant to live! Here is an exciting link to the EU conclusion regarding the use of testosterone in men.